First Protector delivers by covering important gaps in your homeowners policy that keep your home safe. Even when you can’t live in your home due to a disaster or you experience an involuntary loss of employment, your monthly mortgage payment still has to be paid… Let First Protector pay it for you. Take action to protect your financial well-being should you be affected by an unforeseeable event such as a flood, fire, hurricane, windstorm or job loss. Your mortgage when you can’t live in your home. If a covered loss displace you from your home, First Protector can pay your monthly mortgage payment while your home is being repaired, for up to two years. Your remaining mortgage balance. First Protector pays your remaining mortgage balance, after proceeds are paid by your homeowners policy, if the land where your home is located is judged permanently uninhabitable. Your homeowners policy deductible. First Protector can reimburse the deductible you incur on your homeowners policy up to $500, not once, but twice in a year, in the event you suffer more than one covered loss in the same year. 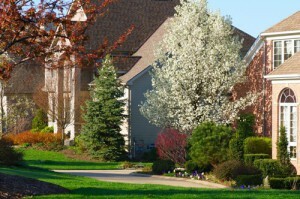 An increased benefit of up to $1,000 for the homeowners policy deductible reimbursement benefit. Your mortgage when you lose your job. The Involuntary Unemployment benefit pays your mortgage payment up to $1,000 for a period of up to 3 months if you become involuntarily unemployed. You can also opt for joint coverage. Exclusions do apply. Please note that the First Protector policy does vary by state. Not all benefits are available in all states. Please click the state where your property is located to view the appropriate printable brochure and application. If your state is not listed, please call us at (800) 332-0800 Ext. 210. You can apply for coverage by mail (Return the completed application to First Service Group, 303 McKnight Park Drive, Pittsburgh, PA 15237), fax (fax application to 412-369-8013), email (info@fsgdirect.net) or simply call 800-332-0800 Ext. 210.